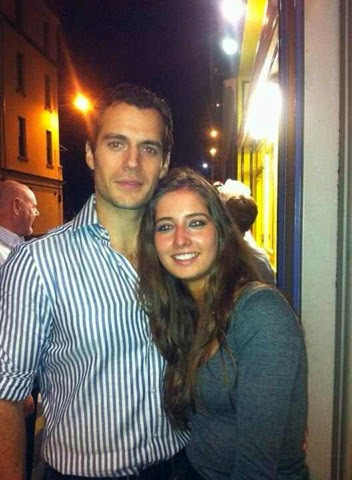 Where girls happily spend entire nights out searching for Henry Cavill. You'll want to check out the entire list, that's ultimately coming from a good place. Go Jersey! Is it me or does Mr. Cavill's hair look noticeably thinner in candid shots away from film production than in shots when he is filming? Are they using "extends" on his hair for filming. Mr. Cavill does not try to hide his thinning hair when off-camera and that is a good thing. He is who he is and he is not afraid of the real deal. I think it is the hair cut or style. His hair looks shorter then usual. Thinning hair? Oh Please!. His hair isn't thinning, he has thick curly hair. Depending on how he has it cut, it looks different. And yes I think he's pretty comfortable with how he looks and he should be, he's gorgeous and with a lovely manner about him. I see no flaws. He looks like a perfectly delicious blue and white candy cane. I'm a big fan of Henry...just worried that he's got a bit of a receding hairline going on :/ Wish it wasn't the case. The majority of men have receding hairlines. It's not a big deal. Really these photos are from set of Mission Impossible 6? This means that we will be able to have something good to watch this season.